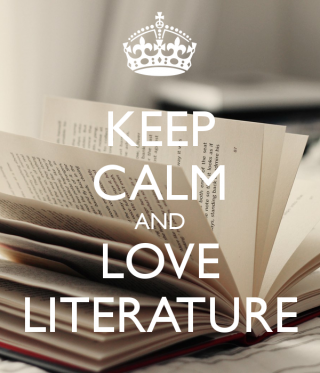 E-LITERATURE: OUR CUP OF TEA AND PIECE OF CAKE!!! Mrs Cimetta and I met to discuss the feasibility of an involving project for you, a project that would boost your skills as readers and writers and at the same time a project that would spark your creativity and feed the value of sharing. To cut a long story short, starting from this school year we challenge you to create/keep a learner’s log for your literature classes in English by using the application Adobe Spark, which is gaining ground and proving popular. Mrs Cimetta created a post in her blog (she is the experienced techie) with lots of useful suggestions. This is a tutorial by another colleague that will help those who are as tentantive as I am when faced with new application: it shows you how to create your e-portfolio with Adobe Spark. There is another important aspect that prompted the idea of a reflective journal: both Mrs. Cimetta and I are voluntary teachers at CRO in Aviano. Your Literature Learner’s Log will help you, your classmates, but also hospitalized students revise for tests, oral tests and in the final year for your diploma. You learn through the use of technology and through sharing, so we are making your learning more meaningful and lots of fun! This project will also foster your critical thinking, your capability of giving constructive personal responses, your skill at finding/adding meaningful resources that comment on, exemplify or expand what we do in class, last but not least the necessity of couching literature in the real world so that it becomes more relevant to you. You are invited to find your own links. As teachers we provide you with some, think of “Frankenstein” by Mary Shelley and its anticipation of genetic engineering, or “Hamlet” by William Shakespeare with its philosophical investigation of what life is all about and why it gives us both pleasure and suffering. We invite you to find meaningful links of your own, connections that can spark other connections in the students that read your presentation. As a reader you play a creative role in your learning process. We want you to be active and responsible in enhancing your knowledge and your learning strategies. Our hope is that your reading experience will go beyond literal understanding and move towards aesthetic appreciation of the text. As a matter of fact we believe that the teaching of literature is an aesthetic experience rather than an information-gathering exercise and through this project we want to promote the true appreciation of literature as a personal journey that empowers you both as a person and a learner of English. What a journey! The diary will help you build and strengthen your critical thinking and analytical skills. You are no passive readers and writers. You are actively and critically engaged with the text to produce strong pieces of your own ideas. I would like you to watch my tutorial on the relevance of keeping a log. What I am sharing with you derives from my experience as a teacher and teacher trainer. I used to keep a log myself to improve my teaching approach. When I taught at Teacher’s College I asked pre-service teachers to keep a reflective journal too. This previous experience provided me with enough data to state that keeping a diary is worthwhile and helps us improve as learners. Before you watch the video, please, take a few minutes and think of the advantages of keeping a diary. Jot down ideas and then compare them with the input you are going to get from the video. Remember that your writing voice is important and you have something to say. Just by writing you improve this skill over time. You will engage more critically with works of literature, because you won’t just read them, but also write about them. Questa voce è stata pubblicata in Literature etc.. Contrassegna il permalink. 2 risposte a E-LITERATURE: OUR CUP OF TEA AND PIECE OF CAKE!!! Thanks, a pleasure to read. I’ve added it to the post in my Blog. I love collaborating and sharing ideas and outcomes. All in all it only took us 10 hours to prepare our materials LOL!! Teachers do nothing don’t they?? Was Shakespare or Wasn’t Shakespeare the writer of the greatest works in English literature?